There are at least twenty-two native and vagrant species of sandpipers that have been identified in North America. Almost all of these types of sandpipers migrate into the northern ranges of the continent where they nest and raise their young. 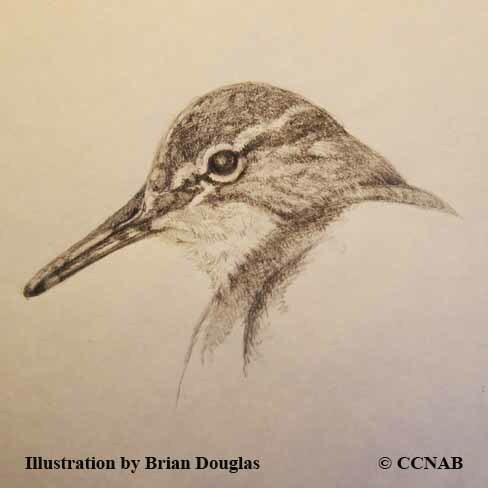 The sandpipers are a challenge for even the experienced birder to have the confidence in identifying each bird with certainty. There are subtle differences between some species, specifically when trying to distinguish between their colours, sizes and calls, as well as taking into account whether they are in breeding plumage or non-breeding plumage and then whether they are juvenile or adult. The largest number of sandpiper species that are threatened are the ones that share their habitat with human civilization. These being the Upland Sandpiper and the Spotted Sandpiper, whereas the Upland Sandpiper is losing its pastures to crops and development and the Spotted Sandpiper through the loss of suitable shorelines.